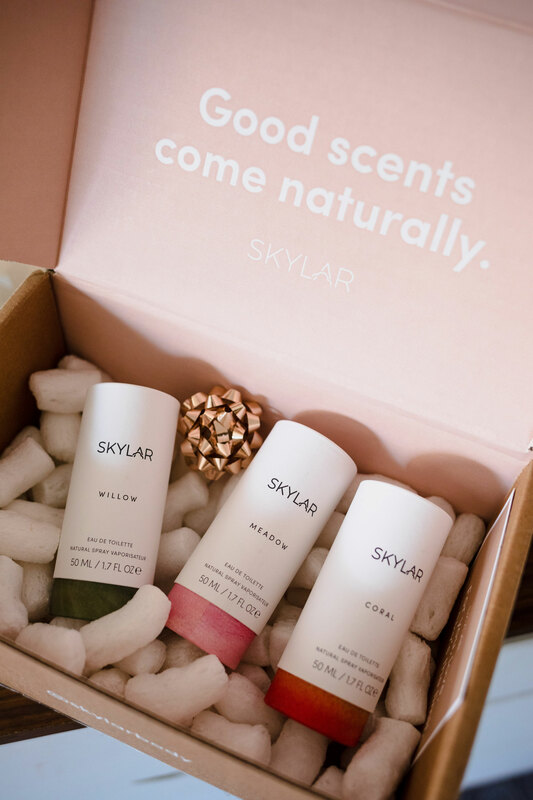 I’m getting into another brand new clean beauty product last week and they are from a brand called Skylar. Since I got 6 bottles of clean, cruelty-free and vegan perfumes to try, I am so super in love with them. 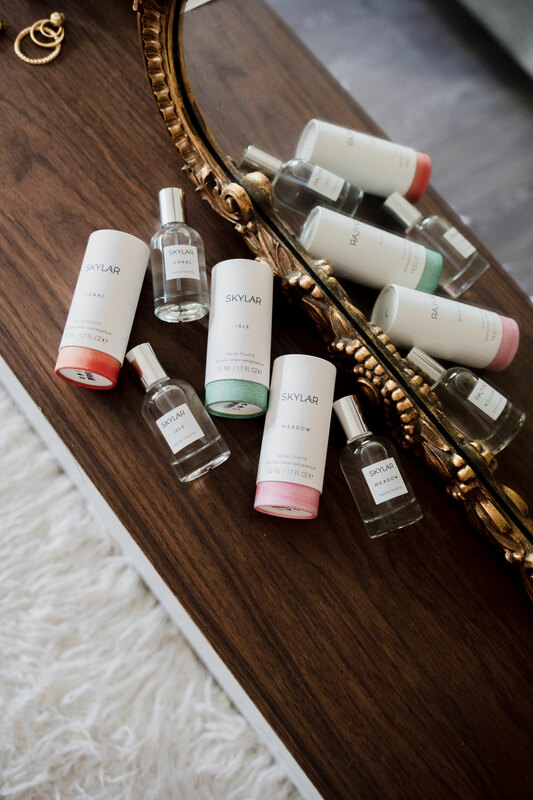 Skylar is creating a new world of fragrancies by using clean, conscious ingredients to craft beautiful, innovative and hypoallergenic scents for yourself and your home. 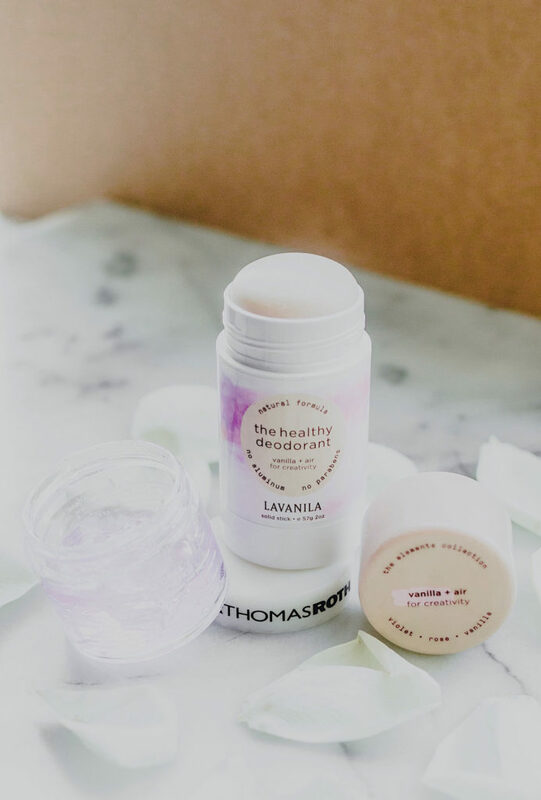 They promise that you will never find suspicious ingredients like Parabens, Sulfates, Phthalates, Allergens, Animal-derived Ingredients and Synthetic Dyes in their 6-Free Scents. So in today’s post, I will be talking a little bit about each of the scents I have. Let’s talk about my first impressions after I smelt each of the perfumes, all I had in my mind was CLEAN! All of these scents are so light, soft and clean. I can just feel that they won’t harm your body. 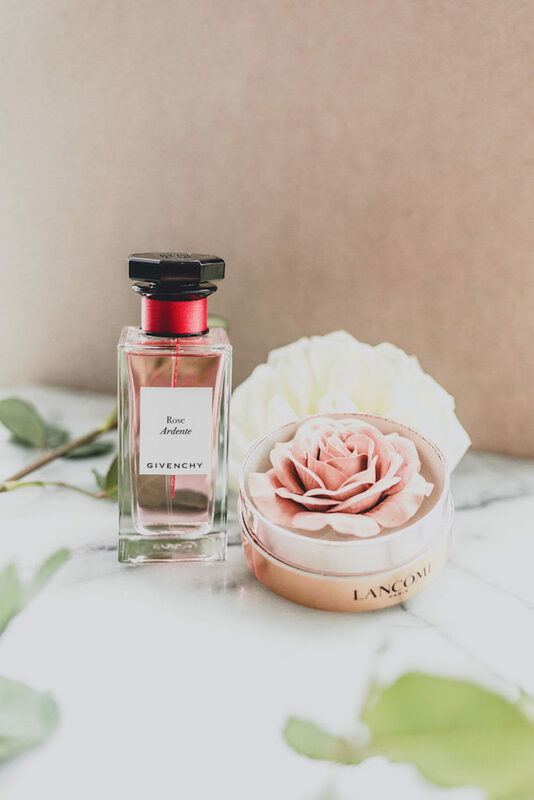 With the scents being very light, you can layer them together to create your own perfect scent or to match it with your mood of the day. This is one of the fun things I like about these perfumes. I have to let you know first that I’m still using my normal perfumes but after discovering this brand, I’m going to try to cut back on all of my usual and give Skylar‘s perfume an everyday go-to. 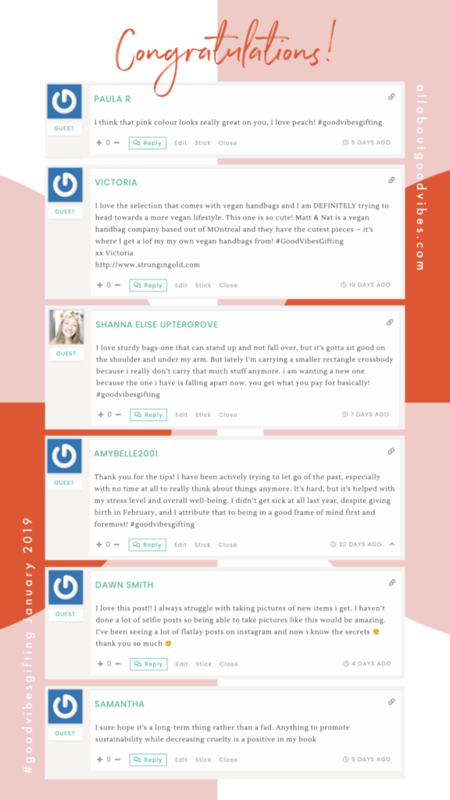 If you are interested in learning more about them or want to get some samples to try yourself, you can stop by their website at skylar.com and can get a 10% discount by using my code “GOOODVIBES10” at check out. Now I want to give you a quick review on each scent. What I feel about this scent: This scent is very sassy and bright. It would be a perfect scent to wear on any sunny day. Ingredients: organic sugar cane alcohol, distilled water, jasmine, rose, neroli flower, labdanum flower, vanilla, patchouli, tonka bean, birch tar, schinus molle, parfum (Skylar’s own fragrance blend with natural and essential oils). What I feel about this scent: For some seasons this scent reminds me of my grandma. It’s bringing the memory of love, affection and warmth to the heart. What I feel about this scent: This one is very clean and calm. Perfect scent for an easy day. Ingredients: organic sugar cane alcohol, distilled water, bergamot, cardamom, sandalwood, parfum (Skylar Body’s own fragrance blend with natural and essential oils). What I feel about this scent: This scent is very classy, cool and feminine. If you love to go on a high tea parties, this scent will be a perfect one to put on. 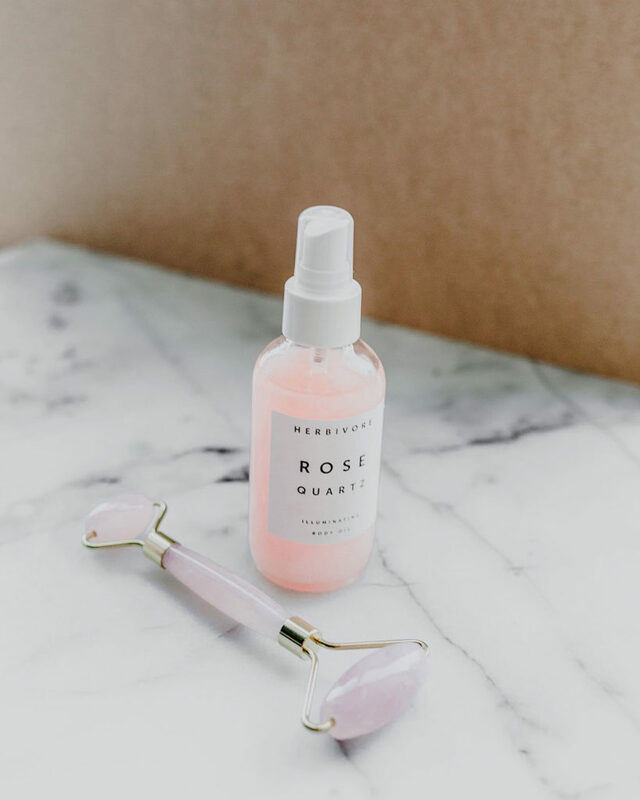 Ingredients: organic sugar cane alcohol, distilled water, tuberose, rose, baie rose, patchouli, cistus flower, parfum (Skylar Body’s own fragrance blend with natural and essential oils). What I feel about this scent: This scent is very fun. It will sparkle your day with a happy and flirty touch. Ingredients: organic sugar cane alcohol, distilled water, black currant, sandalwood, patchouli, benzoin resin, parfum (Skylar Body’s own fragrance blend with natural and essential oils). What I feel about this scent: Very charming scent! It’s perfect for an outdoor party event. Ingredients: organic sugar cane alcohol, distilled water, galbanum, benzoin tree, cedarwood, parfum (Skylar’s own fragrance blend with natural and essential oils). 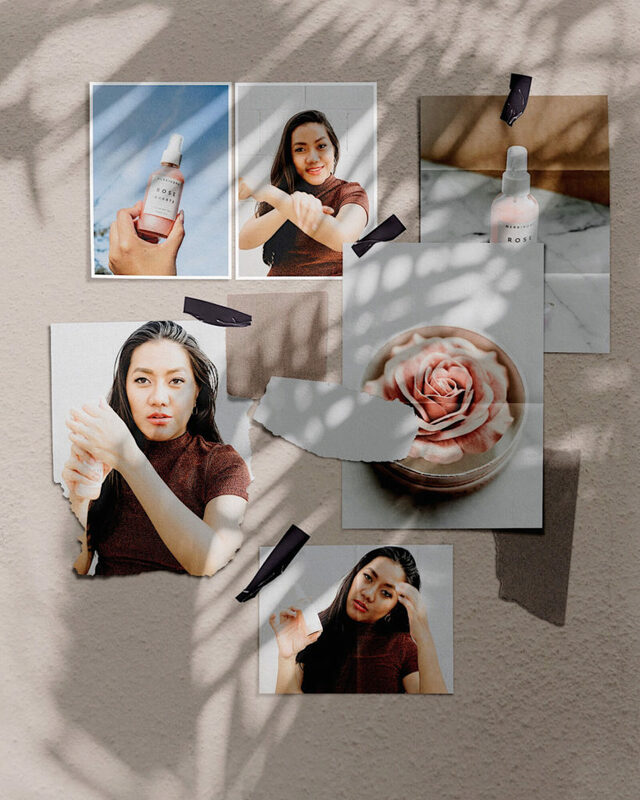 I hope this post is giving you some motivation to get to try Skylar‘s perfumes and take your clean and cruelty-free journey to the next level. 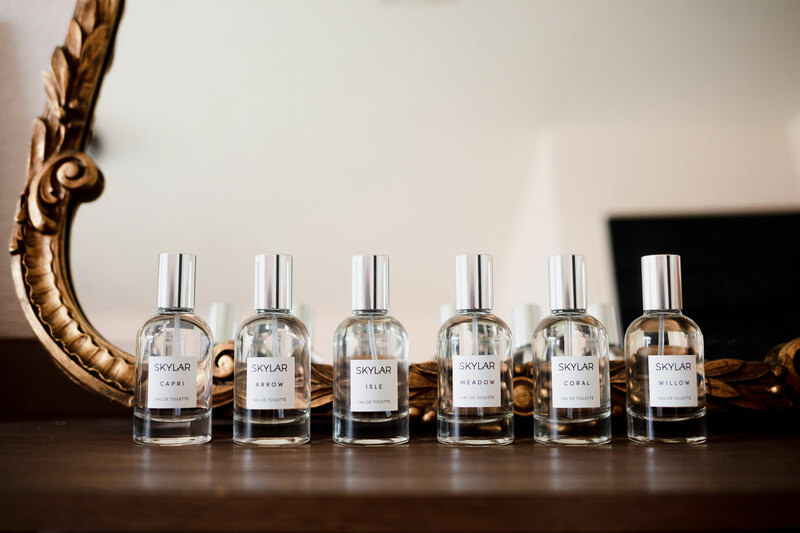 Don’t forget that you can layer each perfume to find your perfect scent that will empower your soul and body. And you can get a 10% discount by using my code “GOOODVIBES10” at check out. If you are interested in more clean and cruelty-free products, feel free to take a look at all of my posts here. Thank you for stopping by All About Good Vibes today. Hope to see you again soon on my next post. 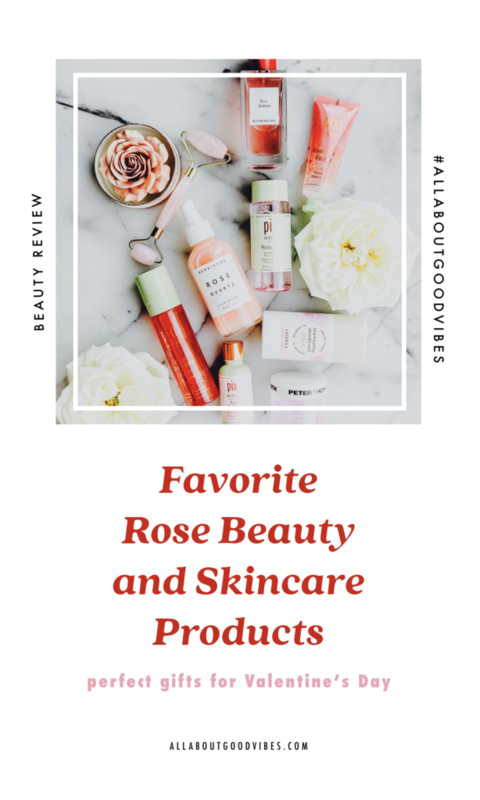 Adding 3 new New Cruelty Free & Vegan Skincare products from Go To Skincare to my clean beauty collection so I wanted to share my first impression and what I like about them with you. Since I started using cruelty free vegan skincare products I am very pleased with how my skin has changed in terms of no breakouts and more even skin tone without applying any harsh chemical ingredients on my skin. I’ve received these 3 products from Go-To Skincare, complimentary to share my thoughts on Instagram, cleanser, face oil and lip balm. Instead of sharing only on Instagram, I decided to post them here as well to give you a more in-depth opinion on each of the products. Before we get right into it, if you haven’t already enter to win a $800 Sephora Gift Card, feel free to enter at the end of this post! 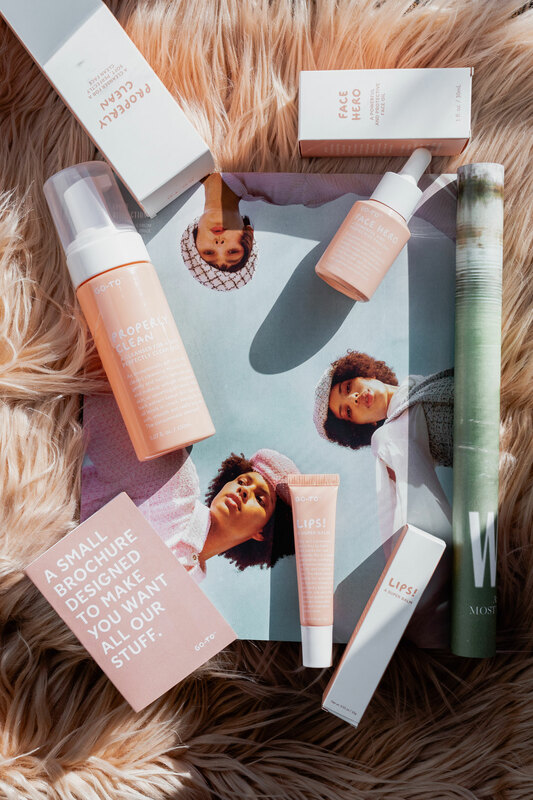 Now, let’s talk about Go To Skincare. First off I really love their overall brand look and feel. It’s so fun, fresh and clean. 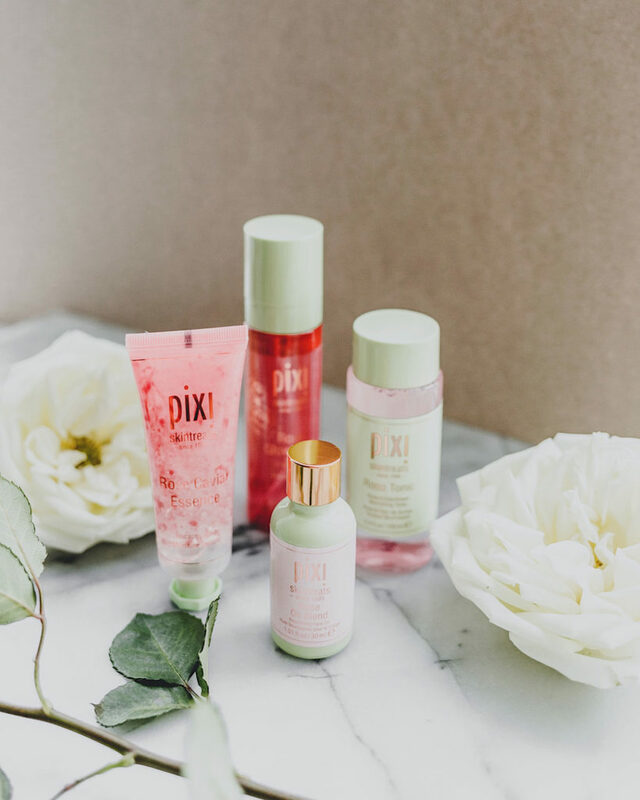 All of their packagings are so cute as well and that was the first reason that attracted me to wanting to try their products. I’m going to talk about the cleanser first, then face oil and lastly lip balm. If you’re ready, let’s get right into it. 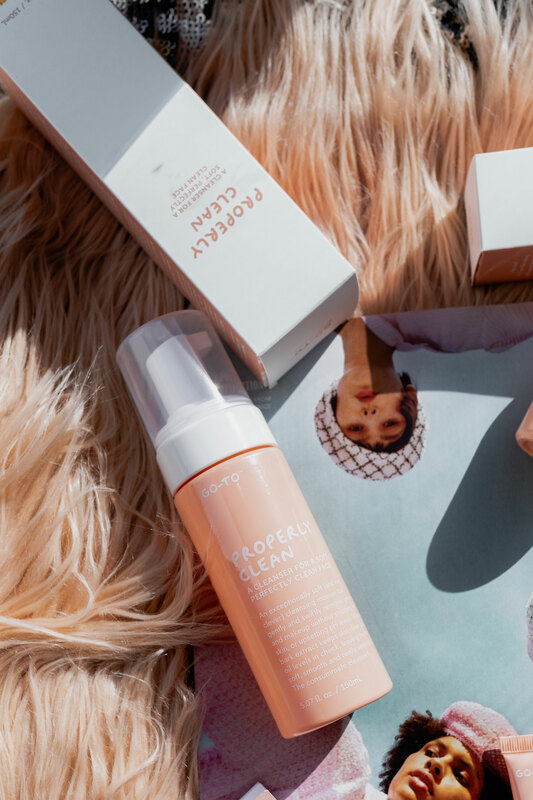 This Properly Clean cleanser is a gentle mousse cleanser. 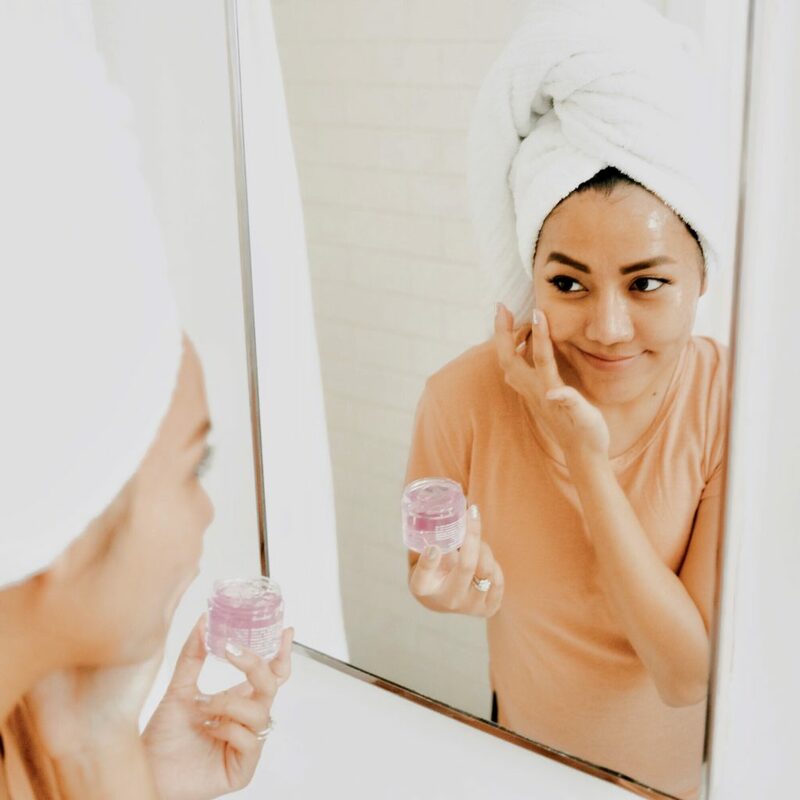 It’s gentle enough for sensitive or blemish-prone skin, nourishing enough for dry skin, and balanced enough for oily skin. It is vegan, cruelty-free, and formulated without gluten, PEGs, GMOs, mineral oils, petrolatum, and synthetic colors. Good for all skin types. What I like about this cleanser is that it won’t dry out my skin. I love the lightweight and soft texture of the mousse. The scent is so fresh. I first thought it would have a fruity scent because of it’s package. But the scent reminded me of green juice with a hint of herbs. It’s a good fresh smell. This cleanser rinses of very easily and after using this cleanser, right away my skin feels so soft and hydrated. Talking about face oils (again! 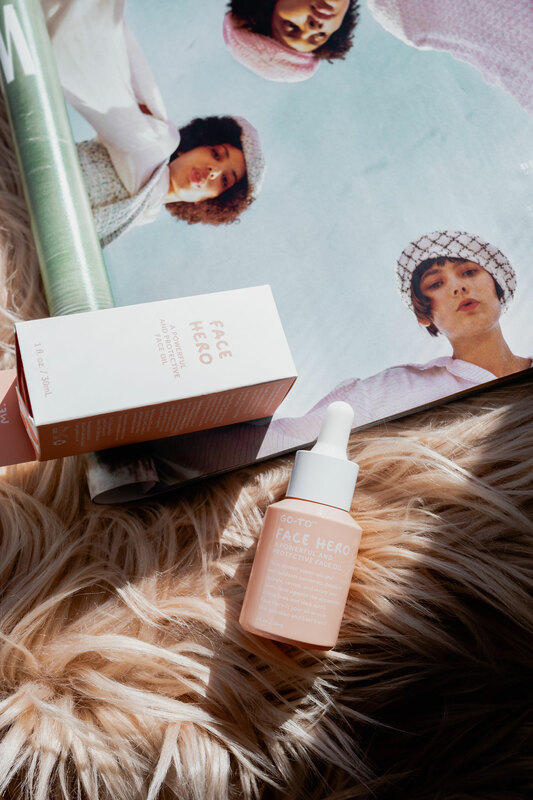 ), this Face Hero face oil has to be the 10th one that I tried in the past month. This oil features 10 potent, purposefully selected plant and nut oils, Face Hero boasts a bucket load of essential fatty acids, vitamins and antioxidants, as well as anti-inflammatory properties. It claims to help hydrate, revive, brighten and insure your face against fine lines, dark spots, dryness and aging inflammation. My first impression of this oil are that it’s very rich and condense. I was hesitant to try at first because I thought that it would stay on my face and won’t absorb into my skin like other face oils I’ve tried. But I was wrong. Even though it’s a very rich and condense oil, it still absorbs well. What I like about this face oil is that it leaves my skin hydrated all day and night. As I mentioned earlier that it’s super rich and a little slow to absorbing but it dose its job to moisten deep into your skin. To help speed up the absorption process, I recommend using the face roller like this one to help after applying the oil. One last thing I love is that this oil also adds a healthy glow to my skin. The Lips! 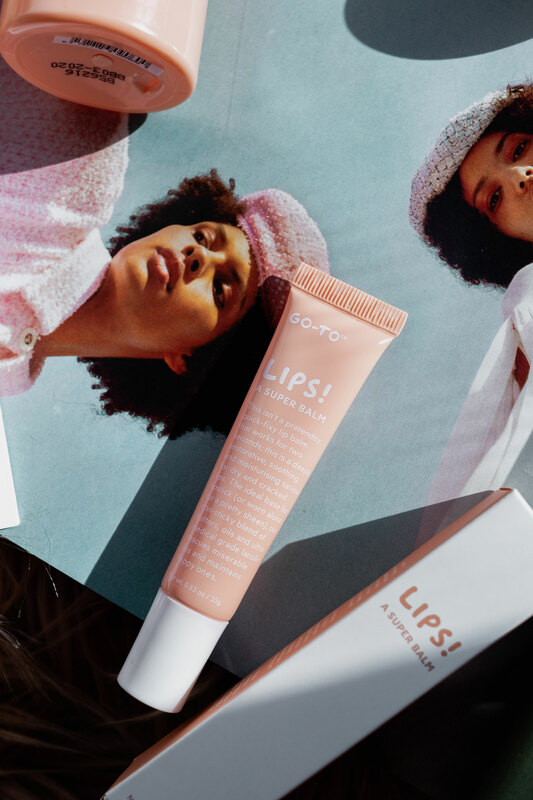 A Super Balm lip balm is a lot different than other lip balms on the market. 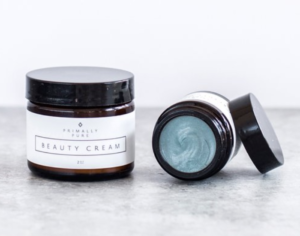 It’s formulated with ultra medical grade lanolin, nourishing apricot kernel, avocado, almond, evening primrose, vitamin E and jojoba oils, as well as beeswax and soothing calendula and shea butter. All the good stuff! When I first tried it, I felt like I’m putting Vaseline on but with light fruity scents which I really like. What I like about this lip balm is that it really keeps my lips super hydrated and I don’t need to keep applying the lip balm on several times a day. Well, I sometimes use it twice if I’m eating or talking too much! 🙂 I love using it at night, it lasts all night and leaves my lips soft and hydrated when I wake up. Another thing I like about this lip balm is that I can use it as a gloss over my tint lipstick. It gives a very pretty shine. 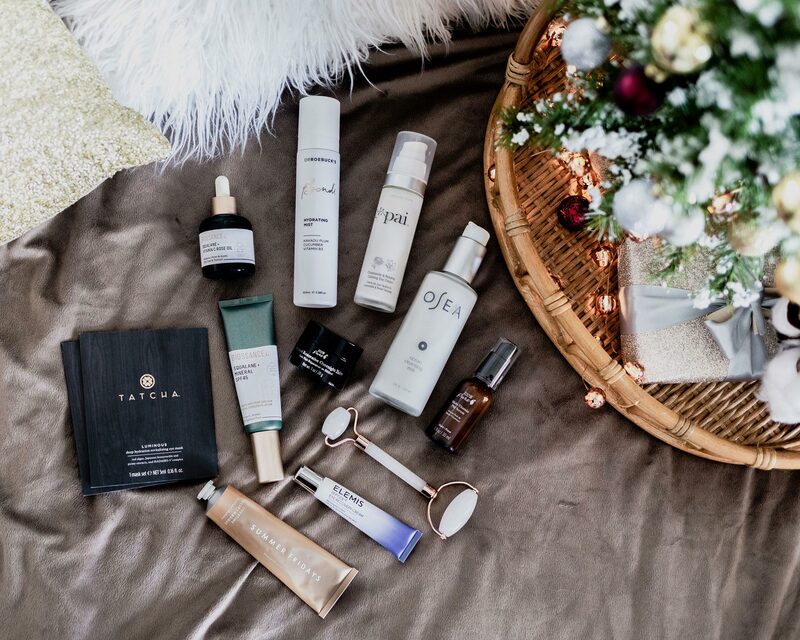 Hope you find this post helpful before you decide to give these Go-To Skincare products a try. 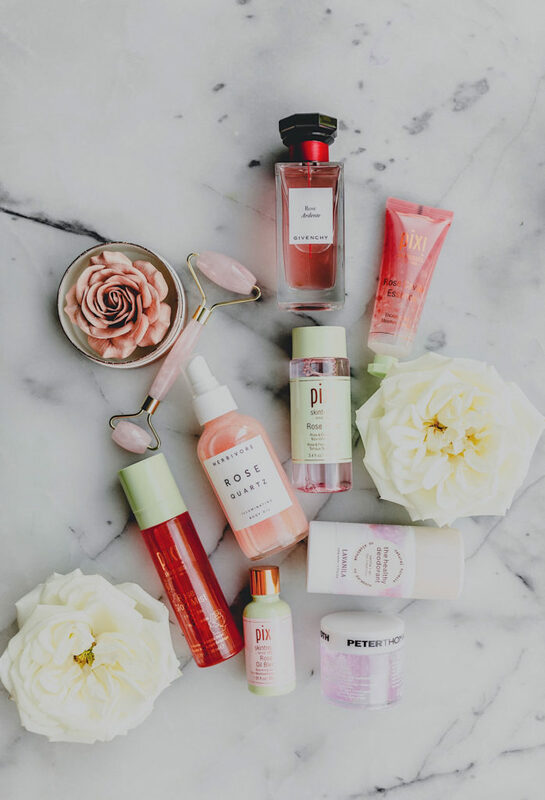 Feel free to leave your comments below and share you thoughts on what your favorite Cruelty free and Vegan skincare products are. I will be posting more about all things Cruelty free and Vegan soon on my last upcoming beauty posts. Can’t wait to share with you! 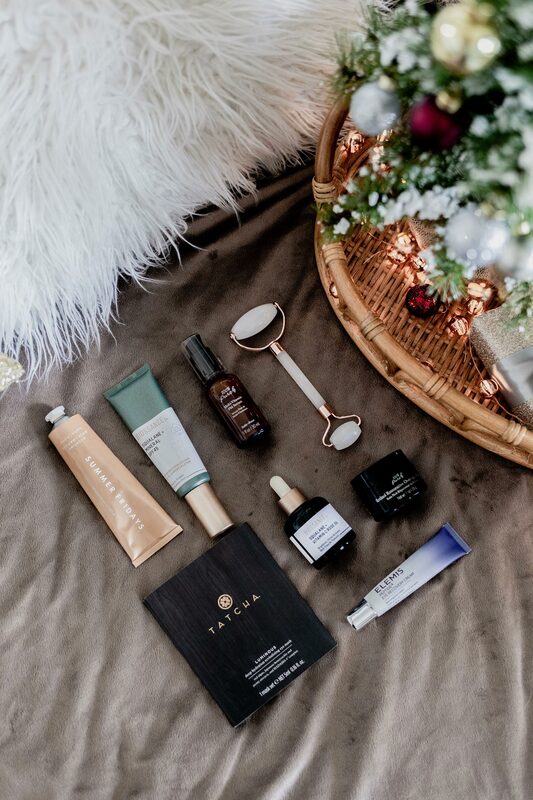 By the way, you might be interested in checking out my clean makeup holiday gift guide to explore more clean products to gift out this year. Feel free to check it out if you haven’t already! Thank you for stopping by, see you again soon, love! 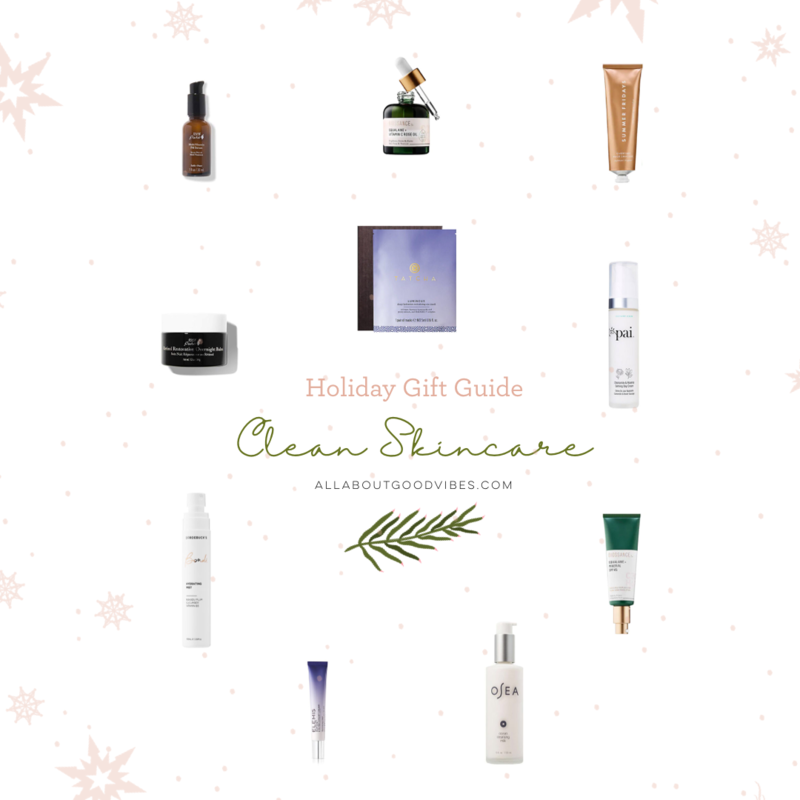 Today I have another clean holiday gift guide for those who seek for clean and cruelty-free skincare products to gift this year. 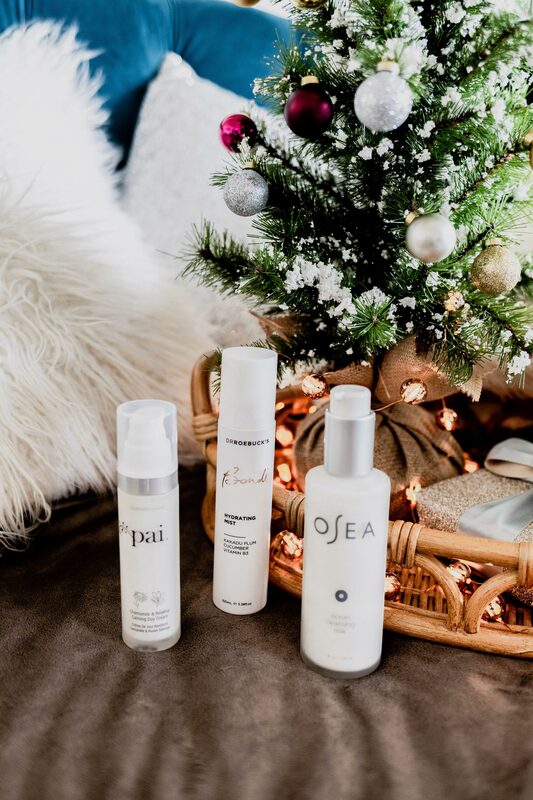 All of these clean, cruelty-free skincare products are my favorites that I’ve been using on a daily basis. 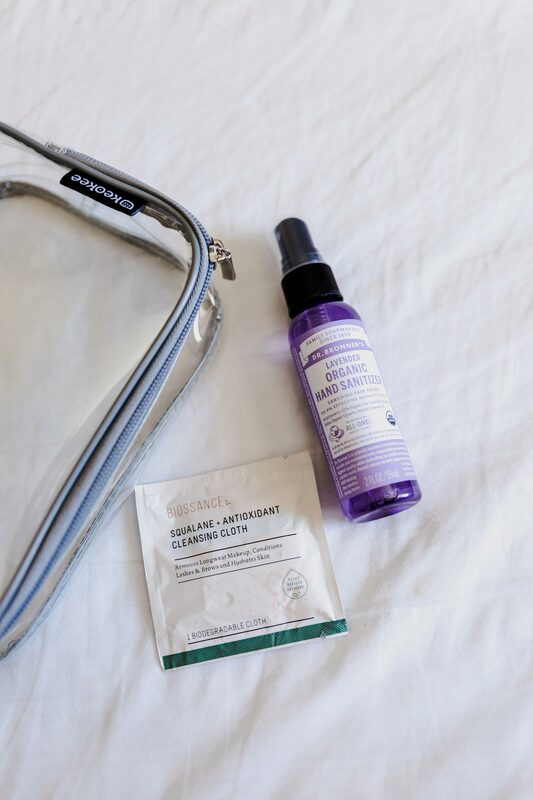 There are 11 items, starting from cleaner to an overnight mask. Again, I’m loving all of them but I’m not going to get into to much details to help save you some holiday shopping time. I will leave a short reason why I love each product the most below. I hope you find the perfect gift for you and for your loved ones. This cleanser is very gentle and soothing. I love the creamy texture and how it makes my skin feel so soft and clean. Most of the ingredients are organic. Perfect gift for people who have sensitive skin. One of my favorite face oils that helps reduce my acne scars. This face oil also makes my skin brighter and clearer. Very soothing and calming day cream that hydrates my skin and leaves it super soft for hours. Absorbs quickly with no irritation. This is my all time favorite eye cream that helps reduce puffiness and dark under eyes. My husband and I have already gone through 3 tubes and we can’t live without it. My father in law is loving it too. 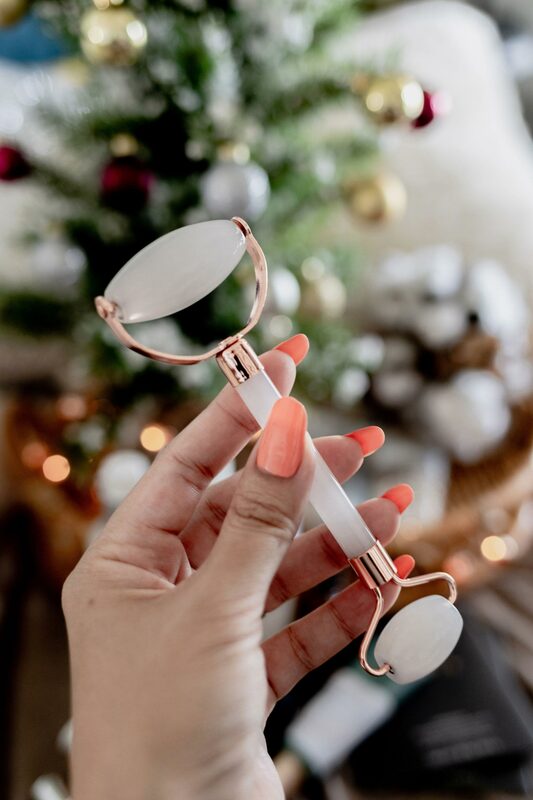 This is definitely a perfect gift for those who have under eye issues. Jade facial roller helps to stimulate collagen production. I use it day and night after applying my face oils and moisturizers. It’s very cold to the touch which helps diminish the look of my pores. This is a lightweight, and non-greasy mineral sunscreen lotion that helps even skintone. I use it as a makeup base and it helps my makeup go on smoothly. I love the fruity scent of this mist. The pump is very easy to use and sprays a lot of mist out at once. I use it every time I feel my skin starting to turn dehydrated during the day. Absolutely love everything about this hydrating mist. This serum absorbs very quickly and feels so light on the skin. I love the refreshing citrus scent of this serum. It helps brighten an uneven skin tone. It’s also gentle enough to use around your eyes. 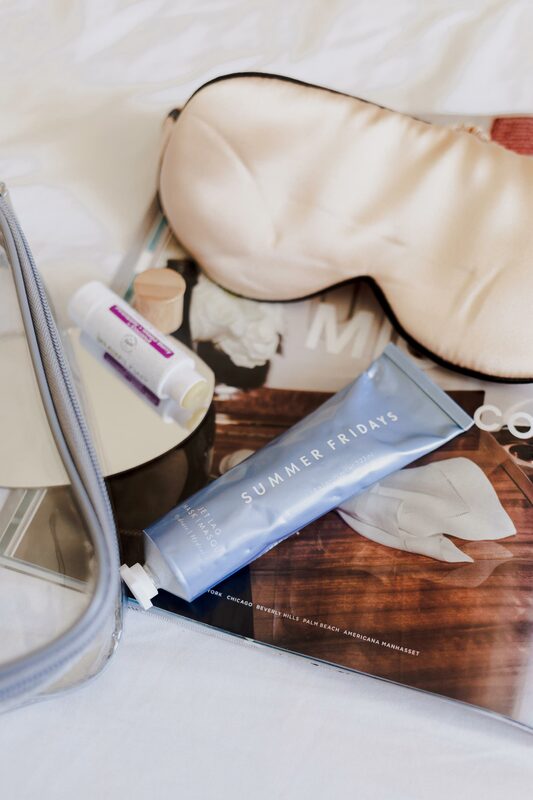 Waking up with a soft, smooth and supple skin after using this overnight balm. Just a heads up though, you might feel weird and wonder how can you go to sleep with this overnight balm on because of the rich oily balm effect. But trust me, if you give it a try for one night, you will want to use it every night. This will be a perfect gift for those who are a fan of retinol and love to have younger looking skin. Love the two in one benefits of this mask. Not only is it a mask but it’s also an exfoliator. This pumpkin mask is a lot more gentle than most of the pumpkin masks on the market. I use it once a week and every time it leaves my skin very soft and clean. This is a perfect holiday mask. 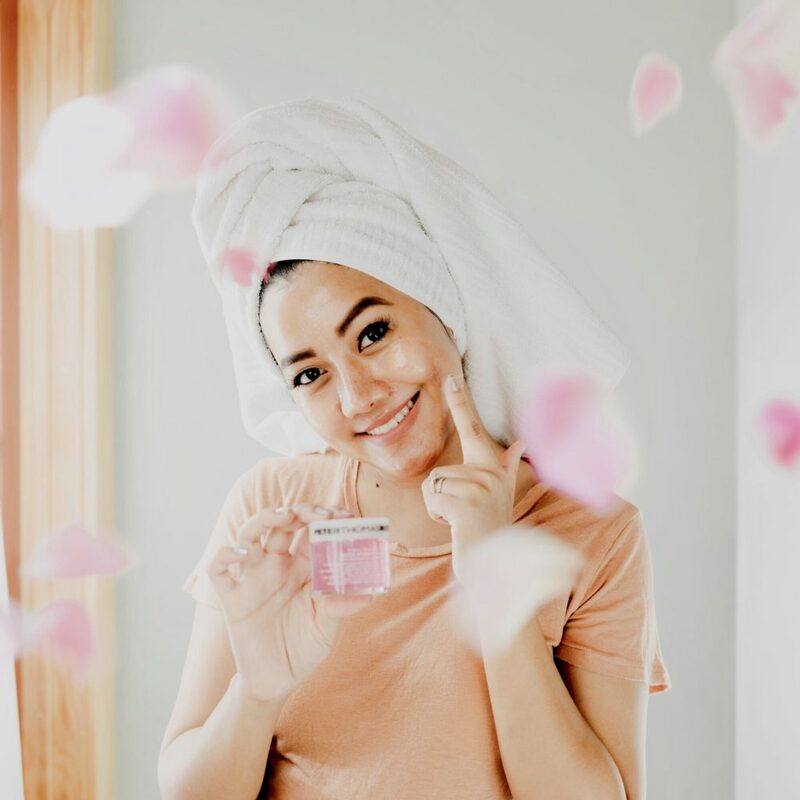 I have a blog post about “Best Face Masks for All Skin Problems” that includes a full review of this overtime mask, feel free to check it out. My under eyes area are looking much brighter and hydrated. I was skeptical to try this eye mask at first as I had heard some reviews about how hard it is to apply. But after experiencing the process for myself, there’s no such thing as ‘hard to apply’ for this eye mask. It was simple and quick to apply and only 15 minutes of your day will make your under eyes smoother and supple. Thank you for stopping by my blog today. 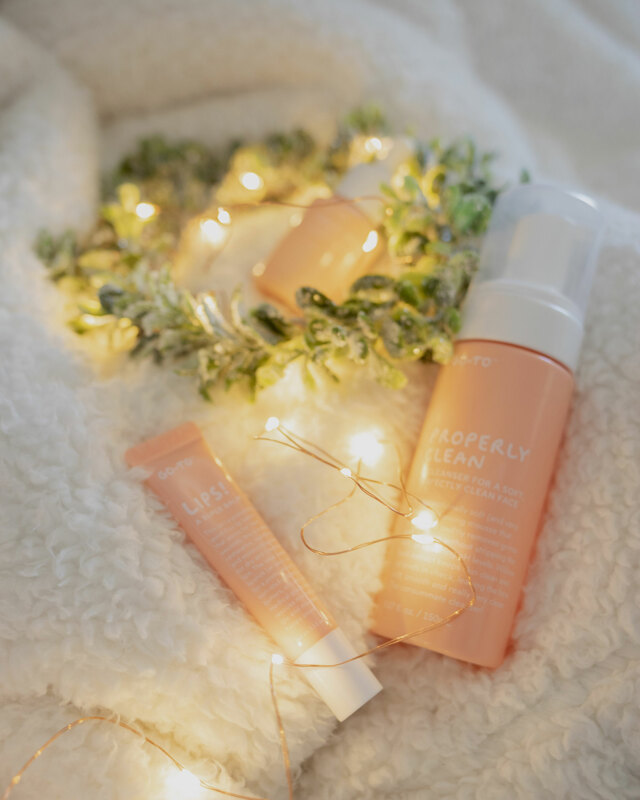 I hope this post is helping you to get some ideas on clean skincare shopping for you, your friends and family. 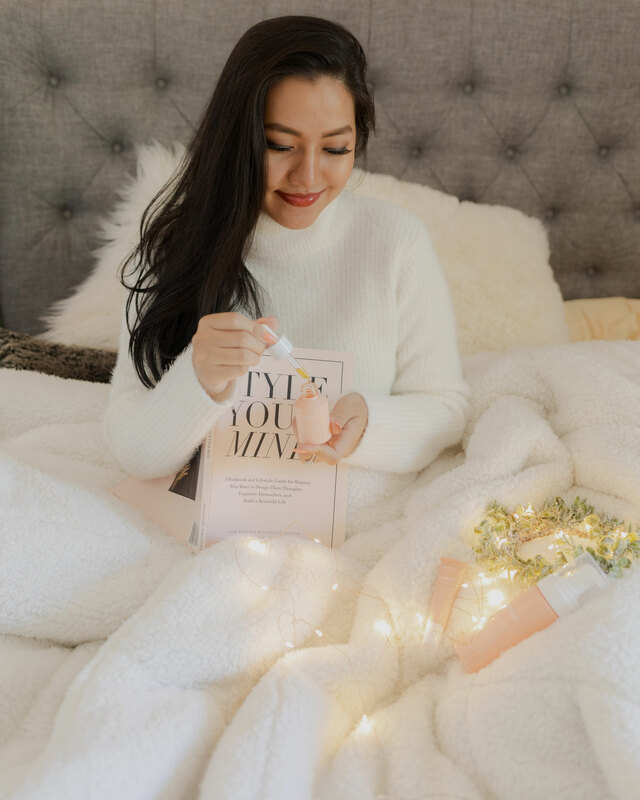 Oh, and don’t forget to check out my Holiday Gift Guides and Holiday Outfit Ideas, if you haven’t already. 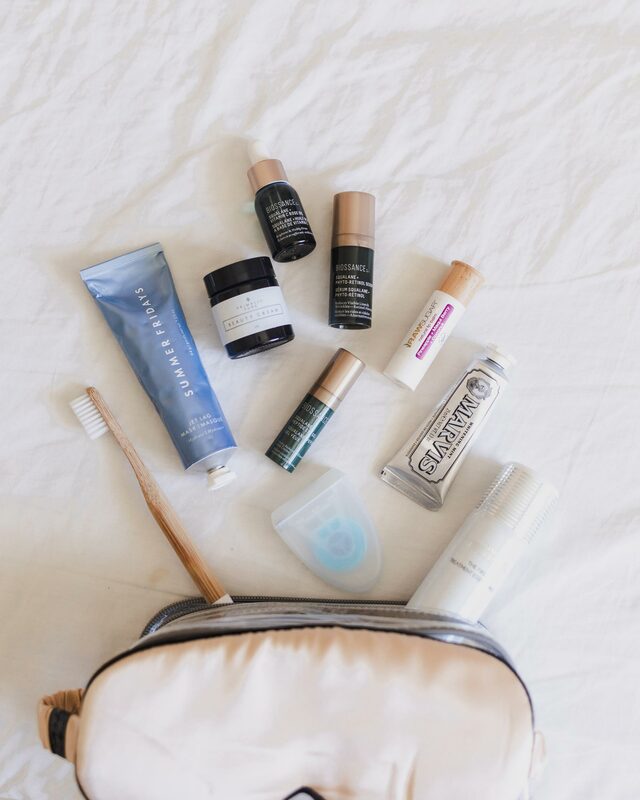 Holiday Trip | What’s in my toiletry bag? It’s been awhile since I last took a long-haul trip. Recently my family took a trip to Japan as you already know because I said it so many times on my previous posts and on Instagram. 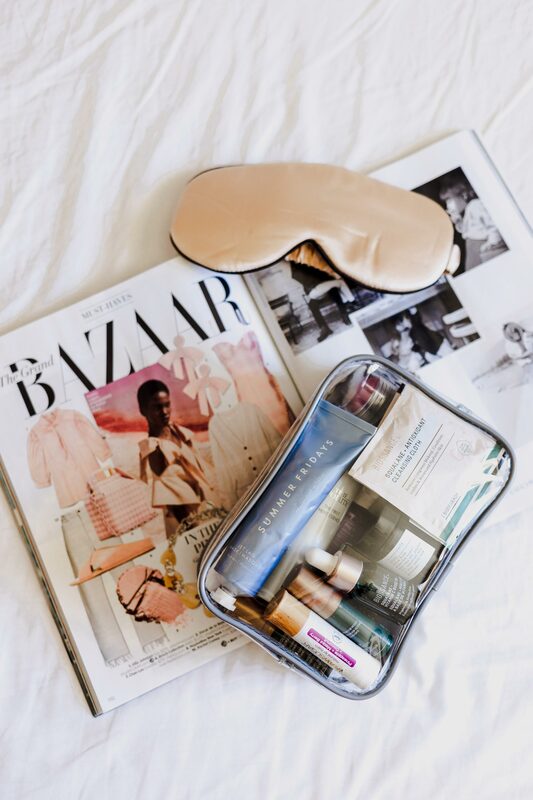 Since I was finally on the plane again and had developed my new inflight beauty routine, I thought it might be a good idea to share with you what I brought with me on the plane. 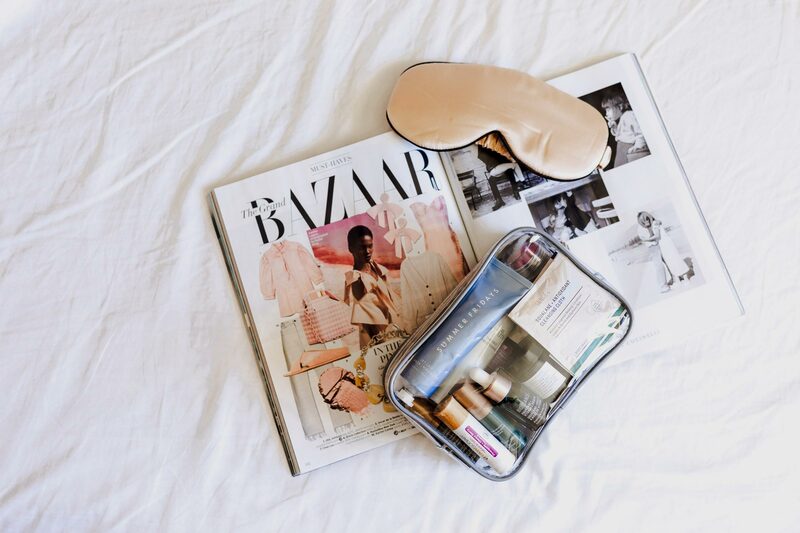 I used to neglect my skin during long flights and found that my skin was more exhausted than me. It was dry, dull and super drained from the long hours and less humidity in the air. 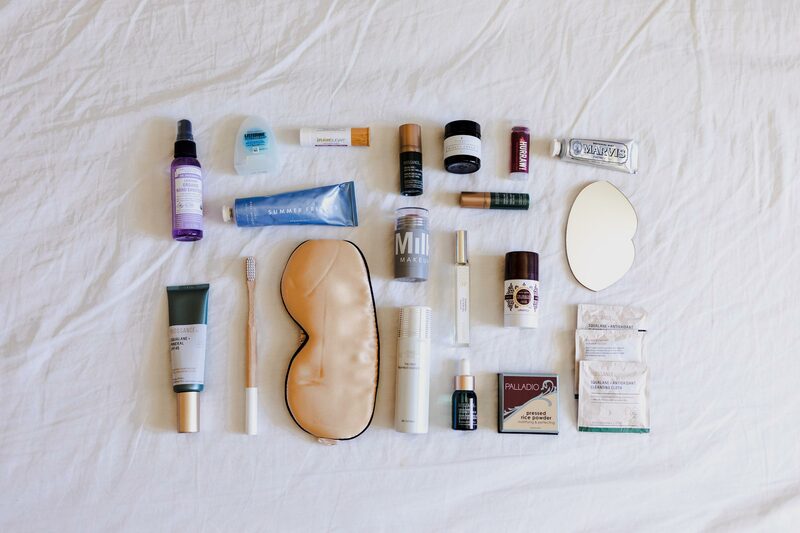 So I pretty much brought a lot of products with me in my toiletry bag and used all of them during the flight. I have to let you know first that I grouped the products into 2 sets, one is before bed time and the other is getting ready to land. 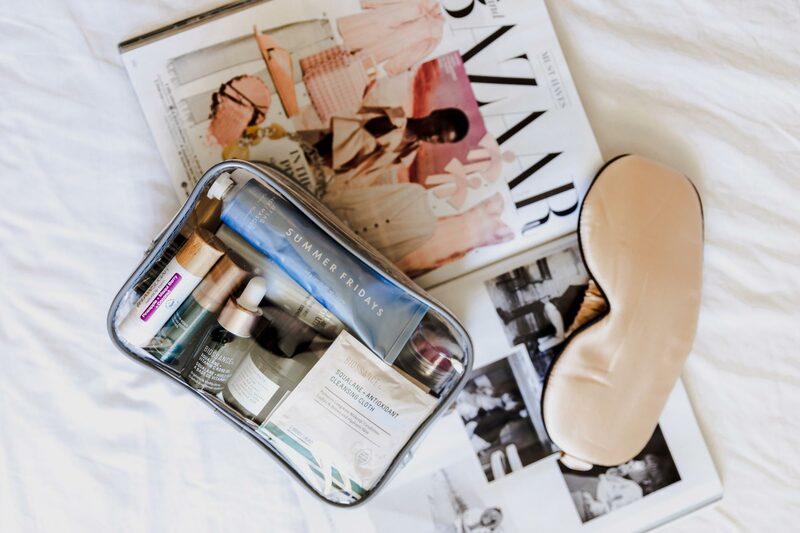 If you want to know my inflight skincare routine, you can visit Fabletics’ Blog where I shared my story there. Before we get into the products, I want to talk a little bit about what bag you should bring to avoid any hassle. I got this Clear Travel Toiletry Bag from Amazon, it’s about $10. I picked this bag because it’s a quart size bag, the only size that they allow to take on the plane in your carry-on bag. It’s see through and meets TSA regulations and guidelines, which means you’ll pass through security quickly and easily. It fits so many products too which I love most about it. If you want to lean more about the TSA Liquid Rules, you can check them out here. 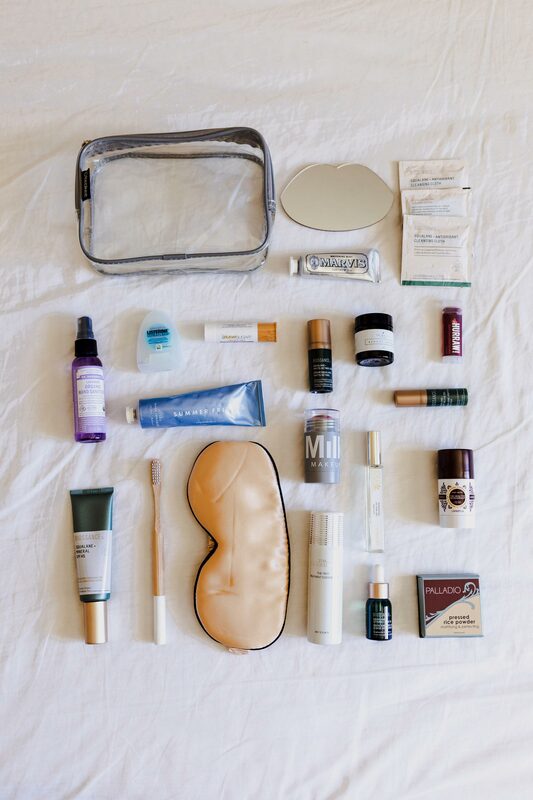 If you’re ready, let’s dive into “What’s in my toiletry bag?”. Those are all of the items in my toiletry bag. There are quite a lot of stuff in my bag but they are so good to have on the plane. Some of the items here are full size but less than 100 ml which is perfect to take on the plane. 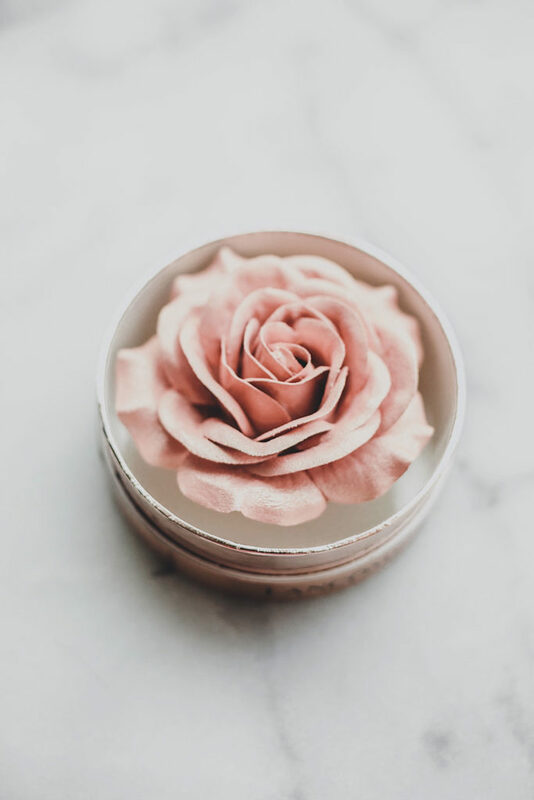 You have to be careful when bringing the full size products, these are limited to travel-sized containers that are 3.4 ounces (100 milliliters) or less per item. So make sure you check the size of the products before packing. 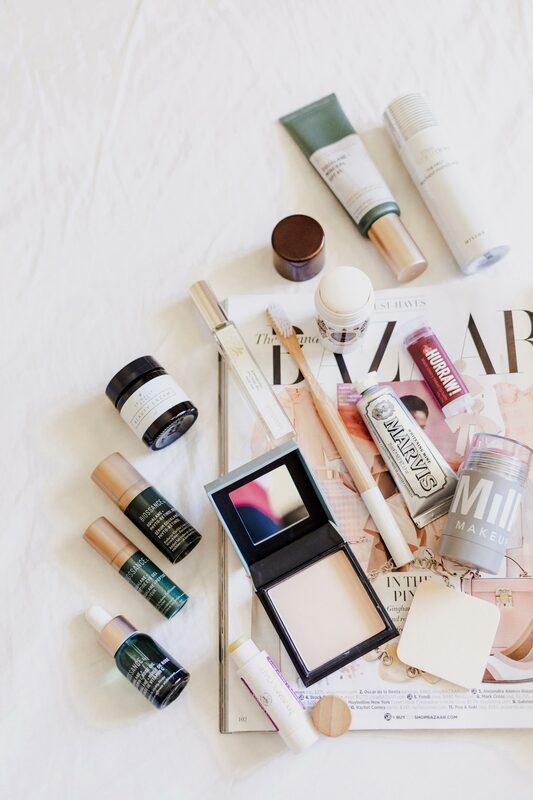 Taking the travel size products is the safest way to make sure they won’t throw your beauty items away. I really love this Biossance Hydration set, I take almost everything with me. That’s it for today. Hope some items from my toiletry bag interest you to bring on the plane next time you fly. Don’t forget to enter my giveaway below for a chance to win an $800 Sephora Gift Card! Thank you for stopping by my blog today. Hope to see you again soon.